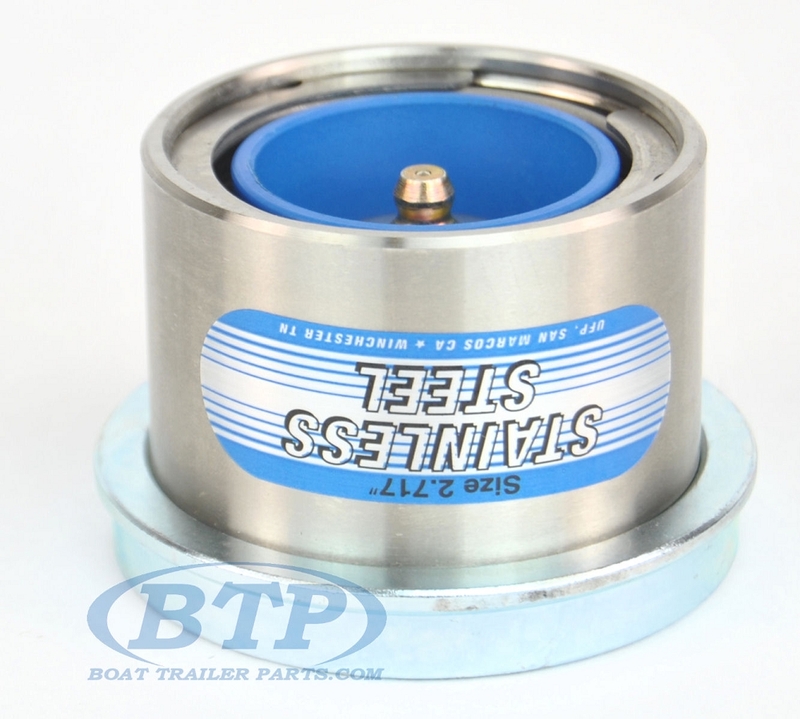 This is a great trailer bearing buddy to use in salt water since it is stainless steel and therefore will not rust. This trailer bearing buddy measures 2.717” at its base. This Measurement would match the inner diameter of your hubs outer face. The blue indicator ring will protrude slightly to let you know when it's full, or recede when you need to add extra grease. Bearing buddies put a small amount internal pressure in the hub (about 3psi). When the hub is submerged water cannot enter the hub because of this pressure. 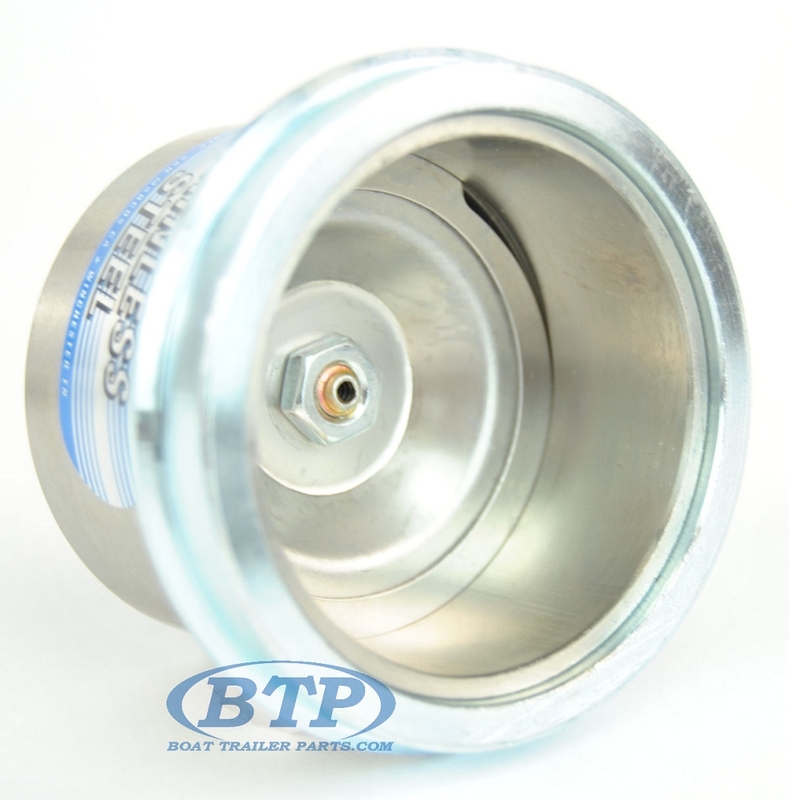 It’s a great way to extend bearing life and service your bearings in-between hub re-packs. 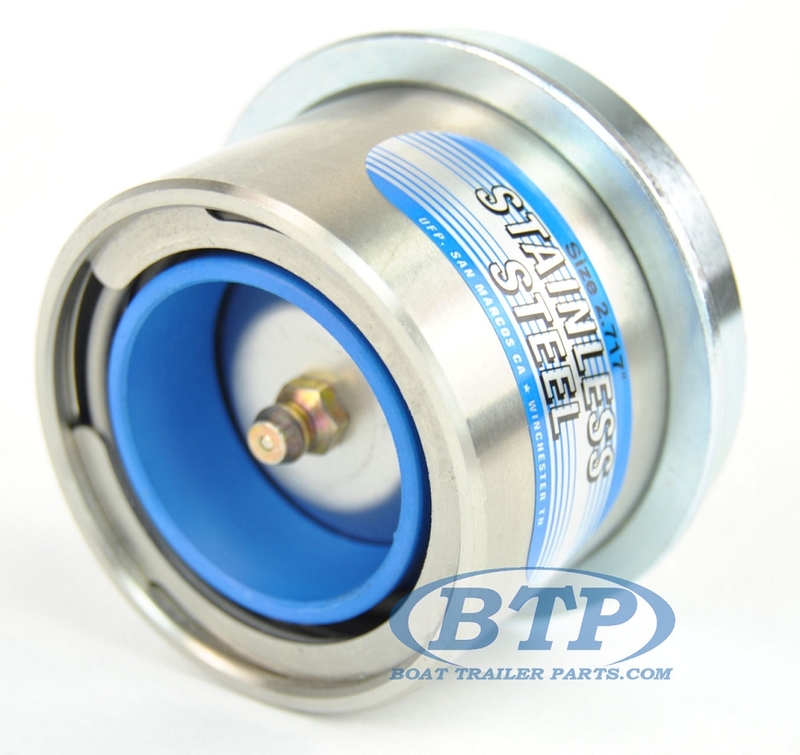 Trailer Bearing Buddy's help keep dirt and water out of your hubs and bearings as well. Installation and maintenance of your Trailer Bearing Protectors is fairly easy. You can install this product using a hammer and a small piece of would. Simply apply even strikes with the hammer while holding the Bearing Buddy and wood against your hubs outer surface. Be sure that the Bearing Protector is fully installed. You will fill your Bearing Chamber using the grease fitting on the outer face of the Trailer Buddy. When the chamber is full, the blue indicator ring will full extend. Be sure not to additionally pumped grease after the indicator ring has protruded, as too much pressure and grease could damage your rear grease seal.